How do you take a child-centric leisure destination and make it appealing to adults? 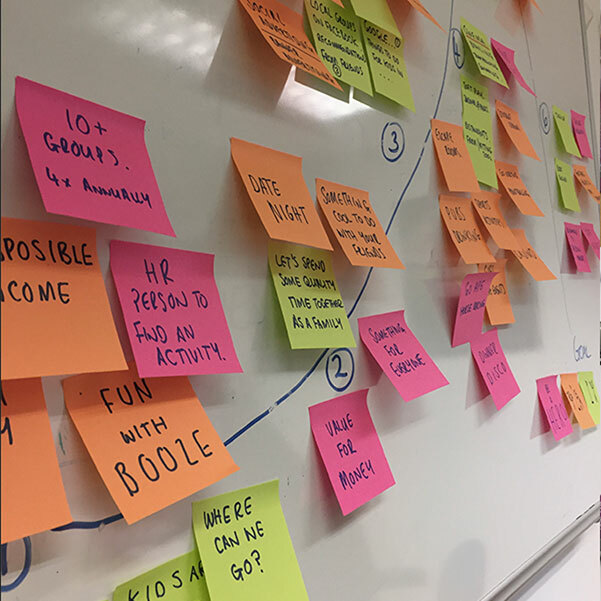 Adventure Leisure came to Katapult for help on evolving their adventure golf brand, ‘Mr Mulligan’. 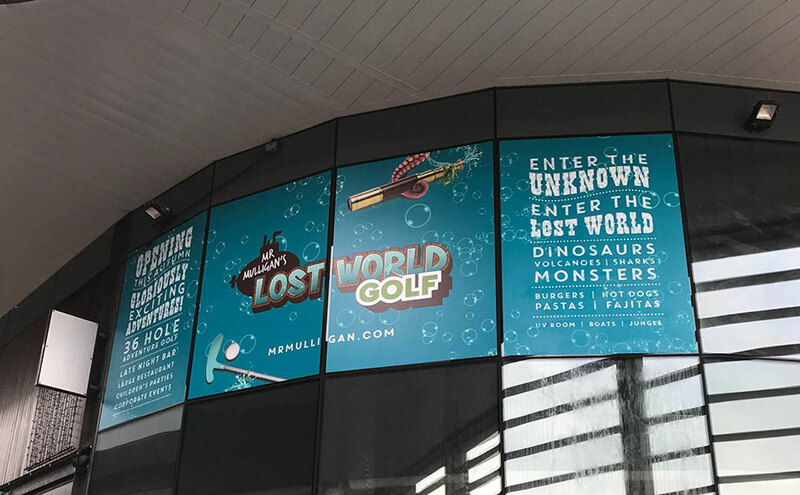 They wanted to create a brand that would interest their adult and adolescent buyer personas, they also wanted to improve the look and performance of their existing website, which has the ability to take bookings for their adventure golf venues. To accommodate a more mature target audience, we introduced a stronger tone of voice and different dimension to the brand, causing more intrigue and mystery – thus creating an identity to cater to a wide and varied audience. 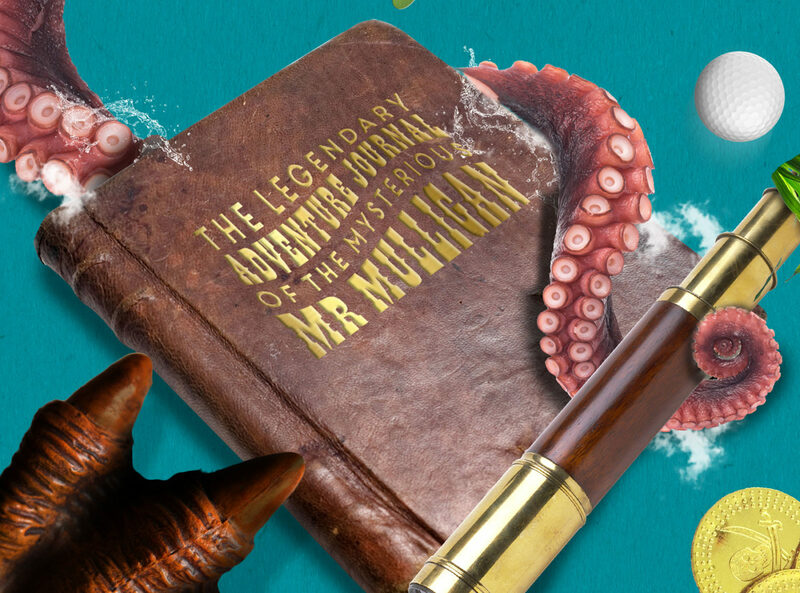 The story of Mr Mulligan is that he is an explorer that travels lands near and far, and other universes. 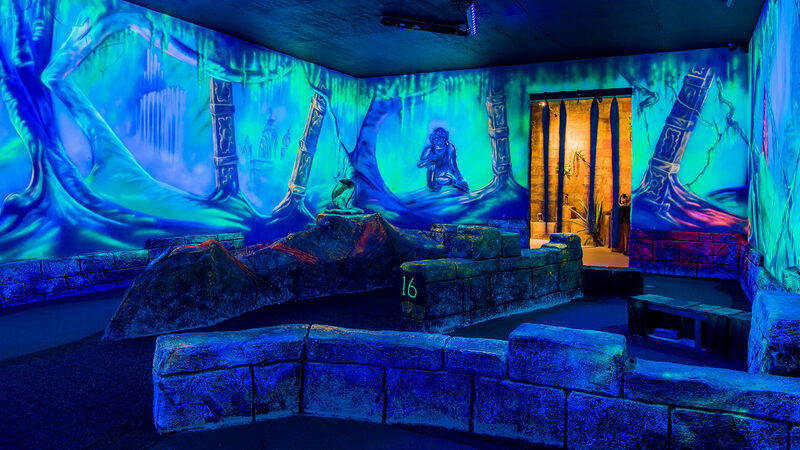 Upon his return to earth he decides to tell his tale in the form of adventure golf centres. Before we met Adventure Leisure Mr Mulligan was a physical figure that interacted with the children as part of the golf course. 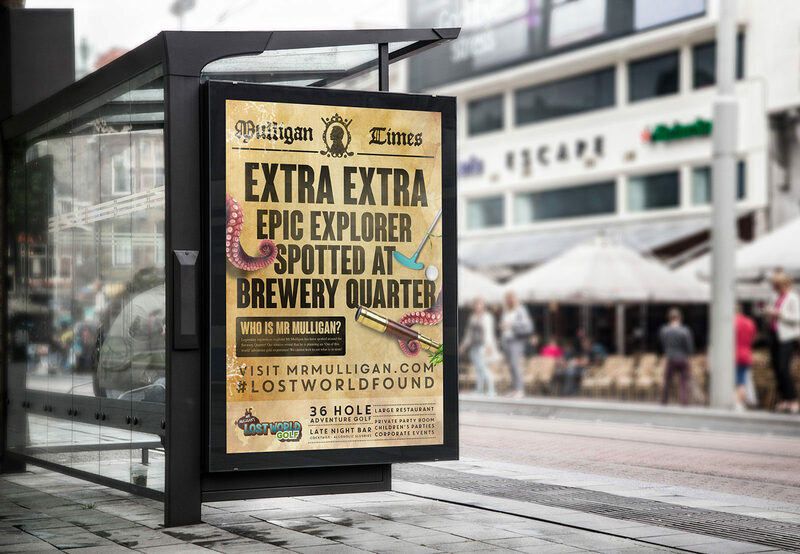 To appeal to an older audience we removed that physical figure and made him more of a mystery, allowing visitors to let their imagination dictate who Mr Mulligan was. As part of transforming this brand we created collateral across all the Mr Mulligan centres in the UK. We produced the graphics that were used as external signage for the centre, wayfinding inside the centre and other physical collateral like branded party invitations and information flyers. We created and led the Cheltenham centre launch campaign. Our campaign focused on both the adult and adolescent buyer personas and sparked curiosity amongst the people of Cheltenham. 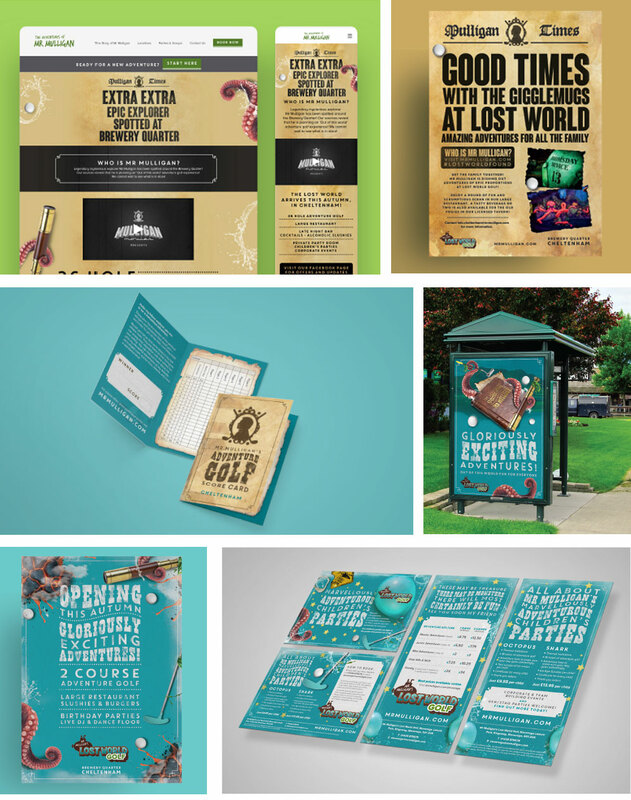 The new branding, the collateral produced and digital marketing campaign enhanced the complete guest experience.